The Summit in the Springs! Are you ready for your own personal mountaintop experience? On July 15-17, 2016, over 1,000 excited Christians will gather at the majestic Marriott Hotel in Colorado Springs to hear some of the world’s top prophecy teachers share their thoughts on the signs of the times. If we are still here in July of 2016, can you imagine the things that could be happening in our world by then? Prophetic events are occurring at breakneck speed as we approach the very last days and await the return of Jesus. 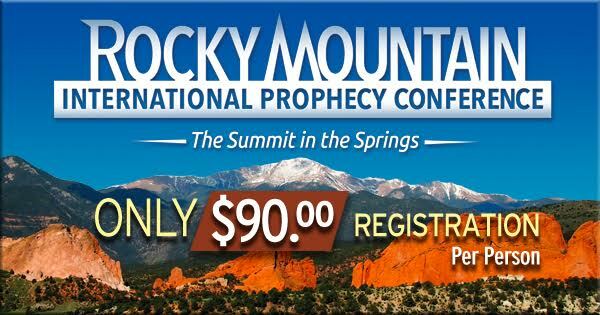 Sitting in the shadows of Pike’s Peak, the Marriott was our 1st choice for the 1st Rocky Mountain International Prophecy Conference: The Summit In The Springs. 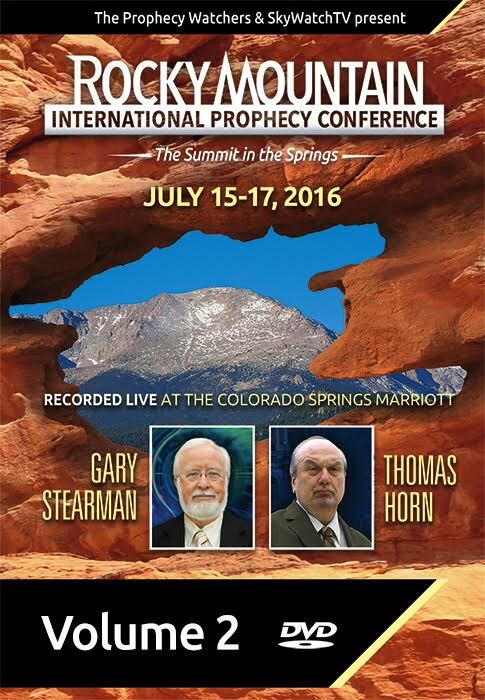 Co-sponsored by Prophecy Watchers and Tom Horn of Skywatch TV, it will be a one-of-a-kind event, driven by the cutting edge names and subjects you will find all too familiar. All of your favorites will be together in one place—all 25 of them! Join us in the summer sunshine of beautiful Colorado—mid-July is the perfect time of year for a physical and spiritual family vacation—and meet these great men face to face. 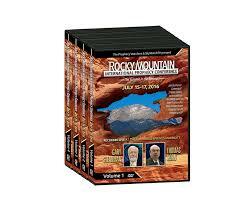 Gary Stearman, Tom Horn, Chuck Missler, L.A. Marzulli, Bill Koenig, Randall Price, Derek Gilbert, Avi Lipkin, Bill Salus, Ken Johnson, Tim Mahoney, Bob Maginnis, Cris Putnam, Joseph Farah, Joel Richardson, Carl Teichrib, Brent Miller, Doc Marquis, Paul Maguire, Tim Mahoney, Michael Lake, Josh Peck, Tom Hughes—25 top speakers under one roof in Colorado Springs makes this the prophetic event of the summer! Take in the sights while you’re with us—take the Cog Railway to the very top of Pike’s Peak—cruise the Garden of the Gods and marvel at God’s creation—visit the Air Force Academy and the Shroud of Turin Museum—tour the US Olympic Training Center right before the Olympics begin—tour the Broadmoor Hotel or Cave of the Winds, or ask Bob for the secret places he discovered while living in the Springs! Everyone loves a one-of-a-kind picturesque view and a good waterfall! So much to do and see with the family! Trust me, this is one of the most beautiful places on Earth. If you’re feeling really adventurous and want to spend a few more days in beautiful Colorado, head west towards Durango and visit the picturesque towns of Silverton, Ouray, Ridgway and Telluride. You won’t regret it. The Million Dollar Highways has a million dollar view. See Bob for restaurant recommendations!